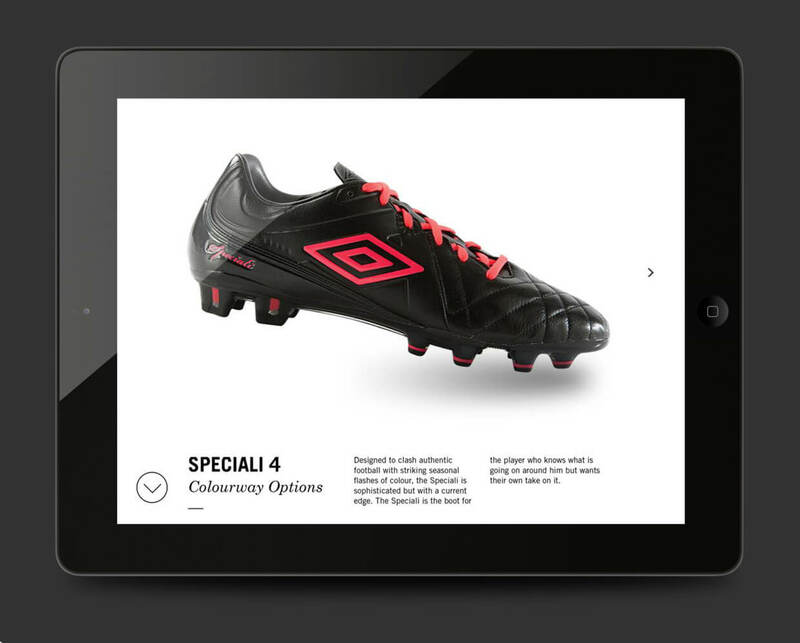 At the beginning of the year, we required a bespoke tool for Salesmen and Sports Marketing representatives to show the features and benefits of the brand’s new AW13 boot line up while on the road. The application needed to be lightweight, retina display compatible and dynamic. 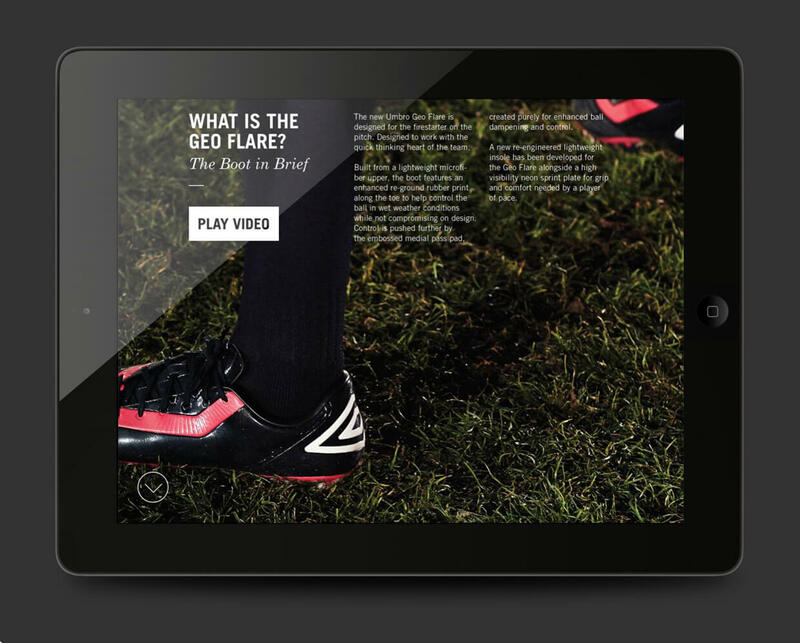 The final result features rich imagery and video that help build the brands identity with its new product lines. The final version was built from scratch using Mag+ as the delivery system.